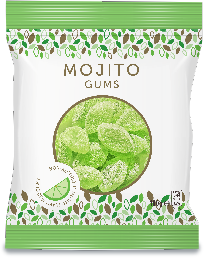 Our Mojito Gums are a fun reminder of cocktail or party moments. lime along with a refreshing aftertaste of mint. Mojito Flavour, Colourants: E120, E161b, E133.